SAGE Publications in association with The Sociological Review Publication Ltd. The Sociological Review is a quarterly peer-reviewed academic journal covering all aspects of sociology, including anthropology, criminology, philosophy, education, gender, medicine, and organization. The journal is published by SAGE Publications; before 2017 it was published by Wiley-Blackwell. It is one of the three "main sociology journals in Britain", along with the British Journal of Sociology and Sociology, and the oldest British sociology journal. The Sociological Review also publishes a monograph series that publishes scholarly articles on issues of general sociological interest. 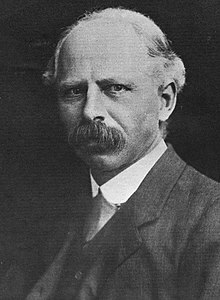 Established in 1908 as a successor of the Papers of the Sociological Society, its founder and first editor-in-chief was Leonard Trelawny Hobhouse. As the first professor of sociology in the United Kingdom, Hobhouse had a central role in establishing sociology as an academic discipline, and The Sociological Review became an important forum in this regard, and generally as a forum for new liberal theory of the early 20th century. Alexander Carr-Saunders, Alexander Farquharson, and Morris Ginsberg 1934–? The current editors are Michaela Benson (Goldsmiths University), Mike Michael (University of Sydney), Michael Burawoy (University of California, Berkeley), and Beverley Skeggs (University of London). The Sociological Review is abstracted and indexed in the Social Sciences Citation Index. According to the Journal Citation Reports, the journal has a 2017 impact factor of 2.167. ^ "Journals Ranked by Impact: Sociology". 2017 Journal Citation Reports. Web of Science (Social Sciences ed.). Clarivate Analytics. 2018.